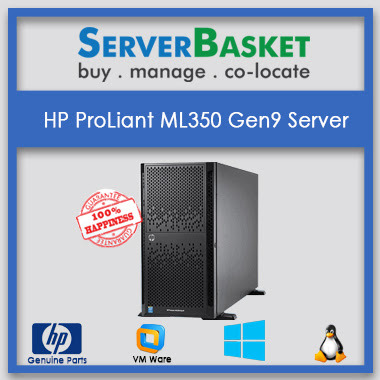 HP Proliant DL120 (839309-375) Gen9 server is an ideal server for small, medium sized businesses. It is an enterprise type of design in built with a 1U/1- socket form with a mixture of performance, redundancy, and expandability in comparison with the traditional 1P servers. HP Proliant DL120 (839309-375) Gen9 is the server as suggested previously is a combination of performance as well as expandability. 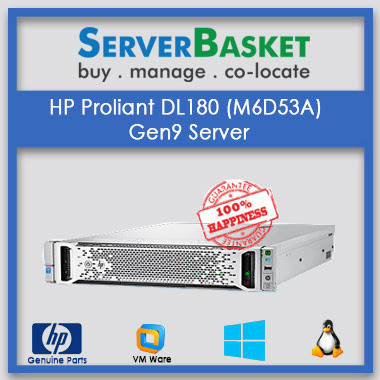 HP Proliant DL120 (839309-375) Gen9 server supports an Intel Xeon E5-2600 v3/v4 processor for improved performance and competence in dense 1U chassis. The damage to the data is prevented by HPE DDR4 Smart memory. HP Proliant DL120 (839309-375) Gen9 has the storage capacity of 256 GB along with speed up to 2400 MHz, this server also supports up to 4 LFF and 4 SFF along with 12 GB HDD/SSD options. This HP DL120 server supports PCLe (peripheral component interconnect express) of 3 riser for the support of GPU and networking cards offering. The storage capacity of HP ProLiant DL120 (839309-375) Gen9 Server is of standard quality with HPE dynamic smart Array controller (RAID 0/1/1+0.5). HP has introduced a new generation of HP Smart SAS HBA controllers to provide soaring performance. SAS storage connectivity HP server has an internal storage with 8 SFF configurations, offering a vast space for the business growth. With 8 LFF SAS/SATA/SSD or 4SFF SAS /SATA/SSD hot plugged or not depends on the model. The maximum storage capacity of HP proliant DL120 (839309-375) is 32 TB. 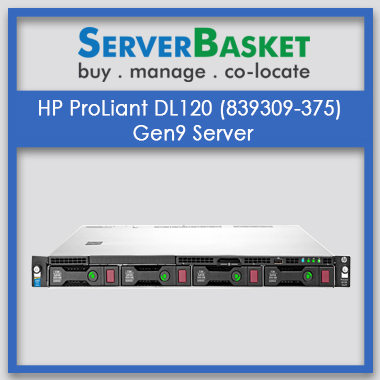 HP Proliant DL120 (839309-375) Gen9 Server has 256 GB maximum memory, along with 8 slots of Dual Inline Memory Modules. The type of the memory supported by this server is of DDR4 (double Data Rate Type 4) is a type of synchronous Dynamic Random Access Memory with a high bandwidth. Also with HPE smart memory. A seller warranty period of 3 years is being provided which includes 1 year for parts guarantee, one more for labor warranty and the last year for onsite support. This particular product is covered under limited warranty being supported by services. Support for the initial and software support is available for 90 days from purchase date. Scalable option means the most when it comes to the server. It’s of sheer waste if the memory space cannot be expanded and external gadgets could not be connected. This HP Proliant DL120 (839309-375) Server supports a maximum of 256 GB of memory and 32 TB of storage capacity. 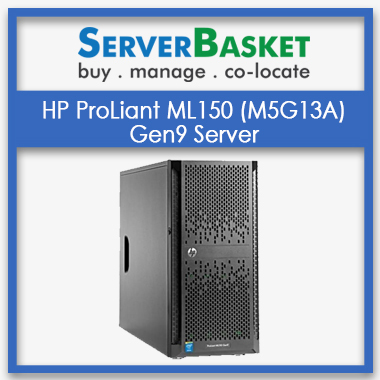 We ensure you that we deliver Proliant HP dl120 gen9 Server to anywhere in India at lowest price. You will never get this price anywhere because we don’t have any dealers or distributors like this, servers are directly form the manufacturers. Why late? Buy HP dl120 at cheap lowest price now..!!! 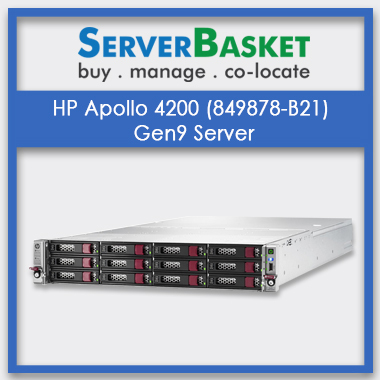 We offer free delivery on our hp proliant dl120 server all over India. We take maximum 3 working days of time to deliver the product to your address in other locations i.e., bangalore, pune, mumbai, delhi and local Hyderabadi customers can receive the server delivery even in less time. We acknowledge about the delivery either through email or message. When server hiccups occur due to security, in my experience they are very upfront with the issue and work fast and hard to solve it. With a great and easy to navigate website, friendly leadership, and good servers, I would recommend this to anybody. HP ProLiant DL120 is a 1U Rack form factor with 8SFF and 4LFF version. Dimensions are 1.69″ (4.29cm) Height x 17.11″ (43.46cm) Width x 23.9″ (60.7cm) Length. What is the maximum memory (RAM) scalable limits of hp proliant dl120 g9 memory server? HP Proliant DL120 (839309-375) Gen9 Server has 256 GB maximum memory. Up to how much storage does HP Proliant DL120 gen9 hard drive caddy capable? There is no hard drive shipped with the model however you can upgrade it to up to 8 SFF Hard Drive Bays; or 4 LFF Hard Drive Bay. The processor supports up to 2.6GHz. 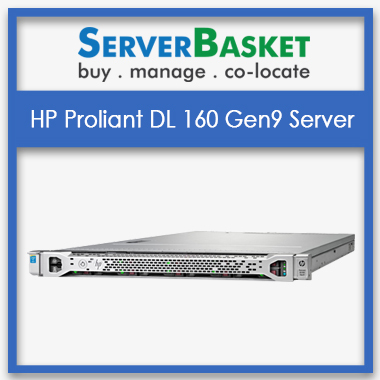 What type of Processor does HP Proliant dl120 gen9 server consists of? HP Proliant DL120 has Intel Xeon E5-2600 v3. 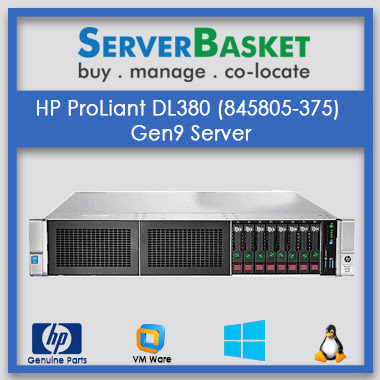 Using HP Proliant DL120 (839309-375) server which Operating Systems does it required? What type of chipset is used? Depending on model one of the chipset is selected. Which network controller does Proliant HP DL120 Gen9 server manage? HP DL120 has HPE Embedded Dual Port 361i Adapter Network Interface. How many power supplies does this server has?How many watt is it? HP DL120 has 1 power supply and 550 W is the maximum capacity of it. You can contact via phone Toll-Free No: 1800 123 1346 or email to [email protected] regarding any information about the price. Also, you can visit our website for updated info https://www.serverbasket.com.